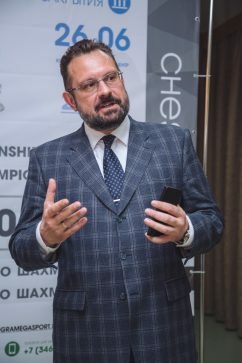 Upon the end of the official closing ceremony of the FIDE World Team Championships in Khanty-Mansiysk the officials of the tournaments answered the questions of media. 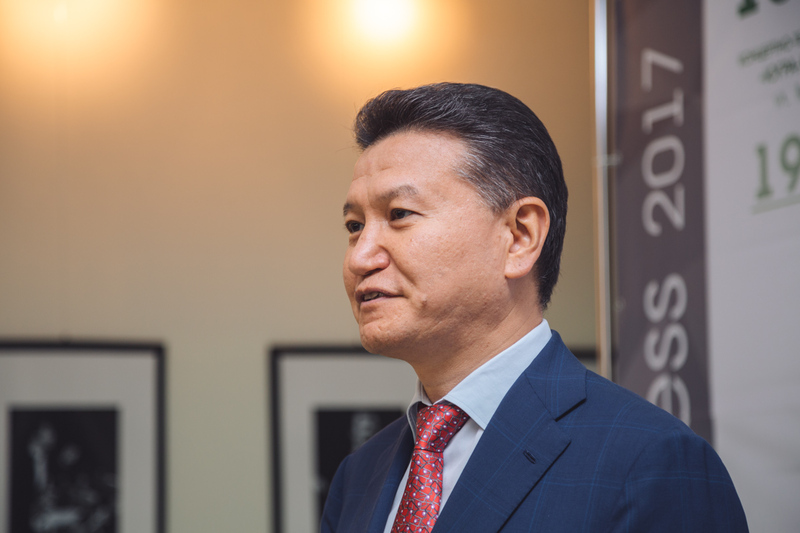 Journalists had an opportunity to ask their questions to the President of FIDE Kirsan Ilyumzhinov and the Deputy Governor of Ugra Vsevolod Koltsov. Being asked why Ugra was chosen as a venue of such a big international chess event, the Deputy Governor Vsevolod Koltsov has answered that this decision was quite understandable. “Some time ago I thought that beauty will save the world but now I would like to rephrase this sentence “Beauty and chess will save the world”. Chess has such a positive impact on people, it is not just art, it is a battle of intellects, this is a gift to all mankind. If a person learns how to play chess since childhood, he changes his attitude to life, finds more ways for self-realization. These championships are not a coincidence, this is a logical result we were going to for a decade. I regret that at the moment I don’t have time to play chess as often as this game deserves”. 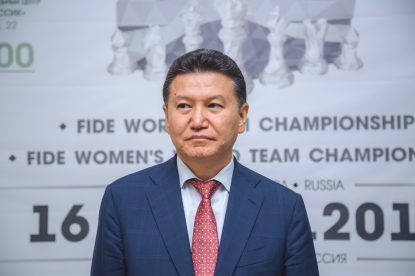 The President of FIDE Kirsan Ilyumzhinov has thanked all the organizers of the event. 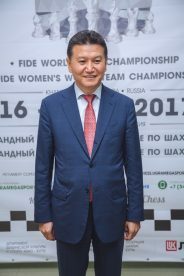 ” On behalf of the International Chess Federation that unites 188 countries of the world, I would like to thank Ugra and personally its governor Natalia Komarova for everything that is done for chess in the last years. I don’t mean only conditions for training professional chess players but also for the popularization of chess among ordinary people and especially for “Chess in schools” program. 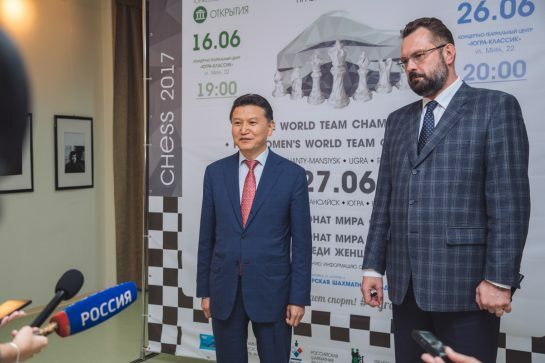 “Chess in schools” is one of the key projects of FIDE. Since the primary school children have an opportunity to learn how to play chess. Besides, now we are developing one more program – “Chess and family”. 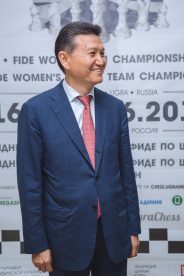 These days Ugra is a positive example for many countries and regions of Russia how chess can be developed on a state level. Chess is more than just a sport, this is a mixture of science, culture and sport. The great Russian writer Alexander Pushkin in his letter to his wife Natalia Goncharova was asking “Have you played chess with our kids?” I believe that in every educated Russian family chess shall be played, and FIDE together with the government of Ugra are doing their best to make this happen. 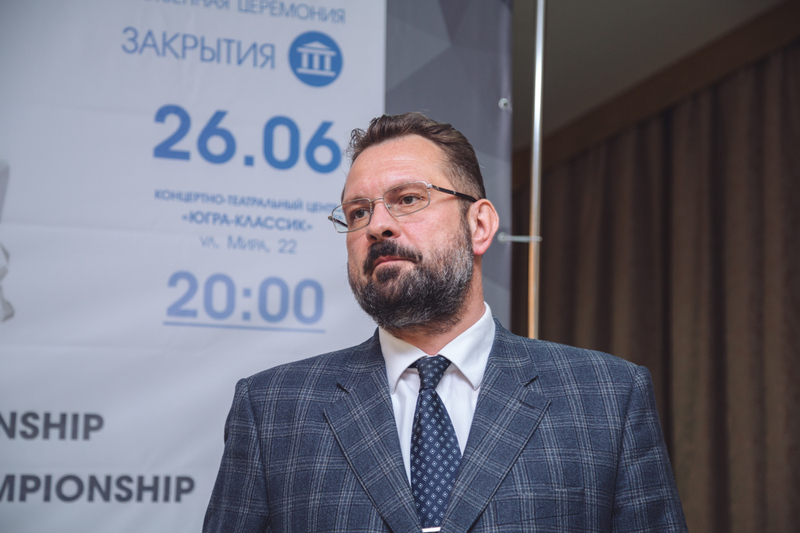 We want chess to become a part of everyday life in every family in Russia as well as in the whole world”.